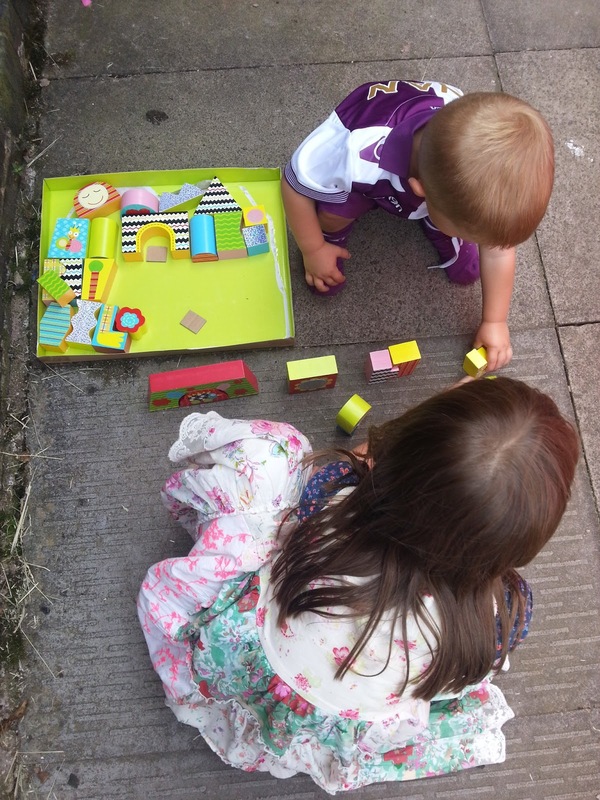 We've been having lots of fun this week with some gorgeous Maxville Wooden Building Blocks from Find Me A Gift. 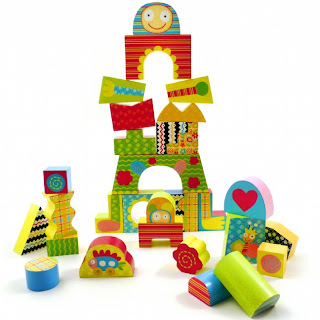 The Maxville Wooden Building Blocks Set make a great gift for children aged 10 months and above. 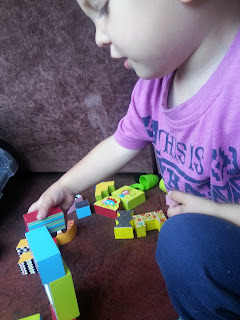 Ryan is now three and has been having great fun building with these. This set contains 30 colourful wooden blocks which are all different shapes and sizes. They are covered in bold patterns, with some featuring faces, legs and arms too! 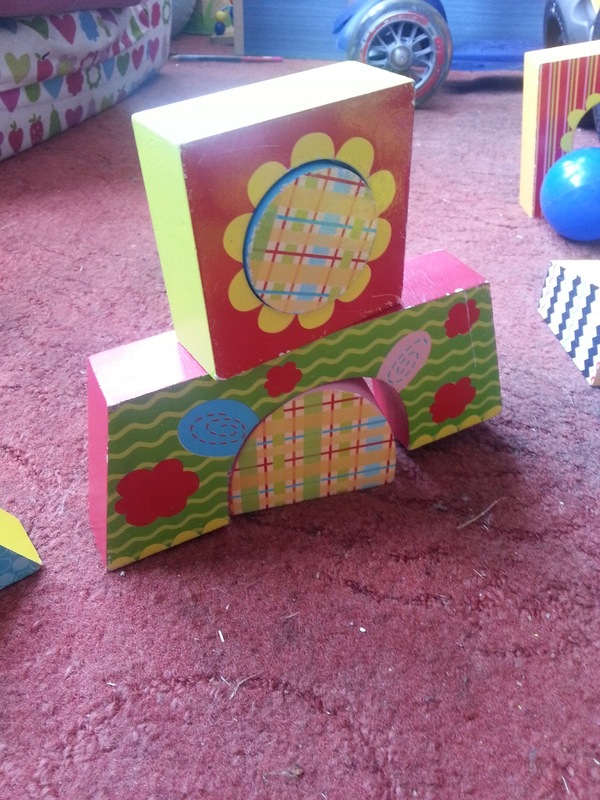 The fun shaped blocks and bright colours will visually stimulate and encourage young minds to construct and create their own buildings and characters. They can stack them up (and knock them down! ), learn all about different shapes, and angles, how to piece them together to create a structure (even if it’s just a simple tower), all of which aids hand and eye coordination. 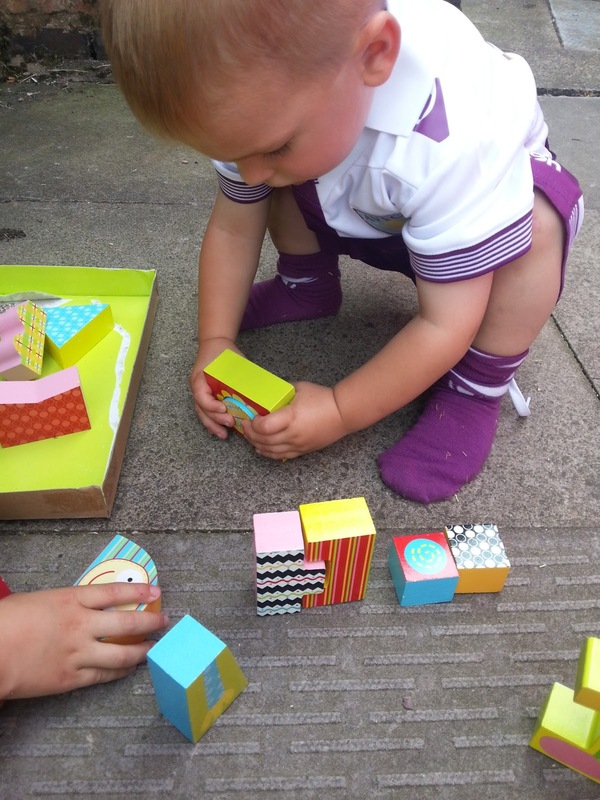 This terrific Wooden Blocks Set is both engaging and educational and would make a wonderful learning toy for little boys and girls. They're a really lovely set of bricks, they take building to a whole new level. The bricks are nice and chunky, perfect for little hands. The bright colors and patterns make them very attractive and really grab your attention. They blocks are solid and made really well, they should last a long time. There's hours of fun to be had with these and because they're made so well, they're perfect for playing with inside or out. 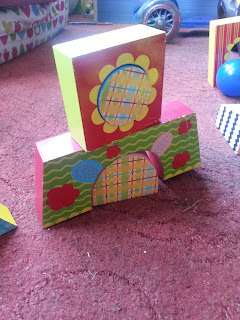 This set of Maxville Wooden Building Blocks costs £29.99 but for the quality you get I think they're worth every penny. They were meant to be for Ryan to play with but all three of my children have had fun playing with these. They're a great way to make learning fun, everyone loves to build. I'm very pleased to give these a lovely 4/5, we all adore them. They look beautiful. I like well made toys like these.